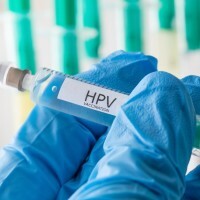 Women who have been inoculated against human papillomavirus (HPV) can attend 75% fewer cervical screenings, a new study has found. Researchers at Queen Mary University of London say those who have had the HPV jab will only need three smear tests in their lifetimes, at ages 30, 40 and 55, compared with the 12 that are currently offered. According to figures released by NHS Digital in October, in 2016/17, smear tests were offered to 236,300 women aged 25 to 64. However, just 177,000 (77%) have taken up the invitation. Not having the potentially life-saving health screening means many women could miss out on early detection of the cancer, putting their lives at risk. With almost all cervical cancers being caused by HPV, a vaccination would significantly reduce the chance of developing the disease. The effectiveness of the virus has led to girls aged 11 to 13 being offered the HPV vaccination since 2008. Professor Peter Sasieni, Cancer Research UK's screening expert and lead author of the study, said: "These women are far less likely to develop cervical cancer so they don't need such stringent routine checking as those at a higher risk." Anyone suffering or recovering from cervical cancer, or any other cancers, can still enjoy holidays and overseas trips by taking out comprehensive cancer travel insurance. A new screening test about to become available will mean women who have not had the vaccine only require seven lifetime screenings, five fewer than the current standard. Dr Julie Sharp, head of health information at Cancer Research UK, said: "This is great news for women. The cervical screening programme is already very successful, and has led to a dramatic fall in deaths from the disease since its introduction. "While we hope to see these improvements to the screening programme in the future, it's important that women continue to take up invitations for cervical screening. So if you're all set for your next screen, keep that appointment."